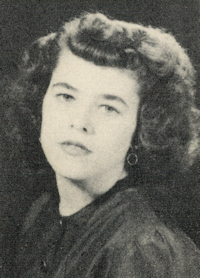 Obituary – Mills, Dixie Lee (Myers) « Perry High School Alumni Association, Inc.
﻿Red Hots ’46-’47; Library Staff ’47-’49; Office Staff ’46-’47; Y-Teens ’46-’48. Dixie Lee (Myers) Mills was born to Arlie Leo and Florence Pearl (Blossom) Myers. She lived in Ripley until 1936. 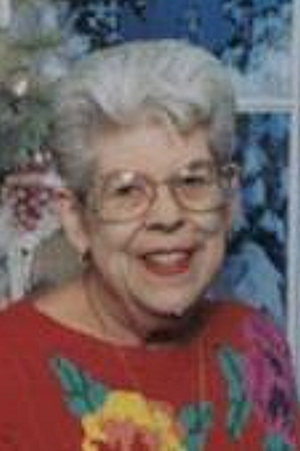 She later moved to Stillwater from 1936-1942 and to Perry from 1942 until 2009. Dixie graduated in 1949 from the Perry High School and later attended Oklahoma A&M and received her Associates in Accounting. Dixie married Richard Mills on October 2, 1954 in Perry, OK. Her hobbies included watching football, baseball and cooking. The highlights of her life were her children, grandchildren and great-grandchildren. She is survived by two sons, Kelly Mills and wife Christi of Parsons, KS, Khris Mills and Kim Buntin of Perry, OK, two brothers, Nyle Myers of Woodward, OK and Max Myers and wife Virginia of Fayetteville, Arkansas, eight Grandchildren, Kasie Dunagan, Shane Mills, Jason Mills, Jennifer Mills Lyndsi and Shelbi Carpenter, and Alex and Autumn Buntin, five Great-Grandchildren, Sheldon Dunagan, Raiden Dunagan, Paydin Dunagan Nevaeh Mills and Kaylierae Mills. Preceded in death by: her parents; husband; Richard Mills, one son Kevin Ray Mills, Brother; Leo Myers. Funeral services are scheduled for 2:00 p.m. Wednesday, April 8, 2009 at the First Baptist Church with Pastor Aaron Summers officiating. Interment will be in the Grace Hill Cemetery.